St. Baldrick’s Foundation, a volunteer-driven organization that raises money for childhood cancer research, only changed its social media strategy in the last year, but it has seen an incredible lift in engagement with its 68,000+ Facebook fans and 9,600+ Twitter followers. St. Baldrick’s Director of Digital Communications Natalie Stamer spoke on the Chronicle of Philanthropy’s Fundraising Fundamentals podcast about the organization’s end-of-year giving best practices for social media, which also apply to its year-round engagement strategy. By using many of the fundamentals of inbound marketing, Stamer highlighted some key tactics her organization uses on both Facebook and Twitter that any other organization can apply to their own social media strategies. Since St. Baldrick’s is a volunteer-driven organization, it wants to engage its volunteer base and empower them to tell their own stories. The voice of its volunteers becomes the voice of the organization when those individuals tell their own stories of why they support St. Baldrick’s. They aren’t just talking about the organization’s story, but also about their own interactions and experiences of working with the organization. Its volunteers feel like they are part of something bigger — that they are a part of the Foundation. 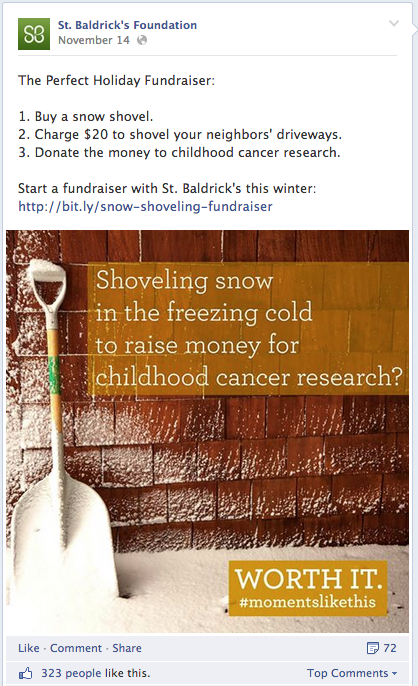 St. Baldrick’s’ marketing team doesn’t bite off more than it can chew. The team focuses its social media strategy on Facebook and Twitter, which have the largest user base out of all of the social media platforms. The organization understands its social media personas on each channel from testing different kinds of content and tracking what works and what doesn’t. 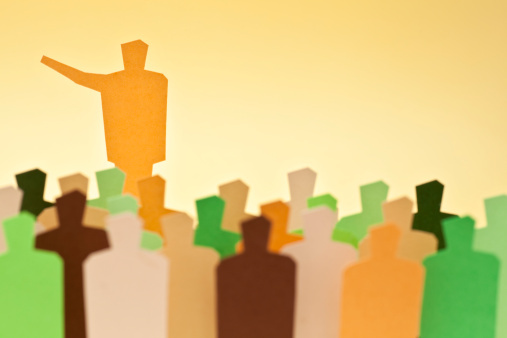 Understanding who your audience is on each platform is very important when it comes to what and how often you post. Take a step back before you post something on social and make sure that when your followers see it, they will want to share it with their own social networks. Ensure each post is share-worthy, well-branded with your logo and/or hashtag, and always includes a link back to your website. Roughly 50% of St. Baldrick’s’ website traffic comes from Facebook, with a large chunk of that coming not from its own page, but from those of its followers, who share its content. The Foundation’s using the networks of its network to reach the masses and attract new people to its website. 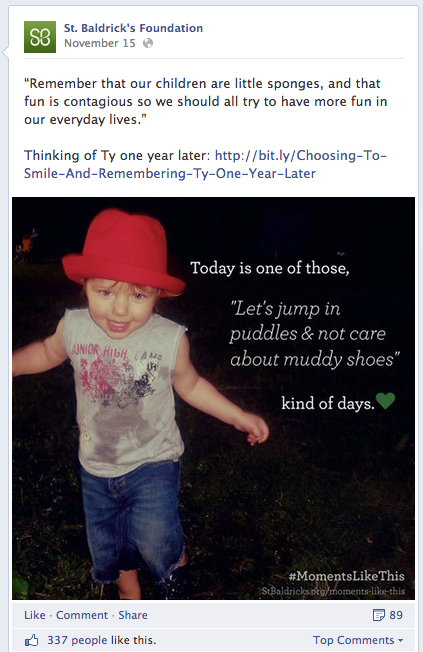 Here is a great example of a highly engaging post on Facebook that got 72 shares and 323 likes. Let’s be real: You’re a nonprofit trying to raise money. 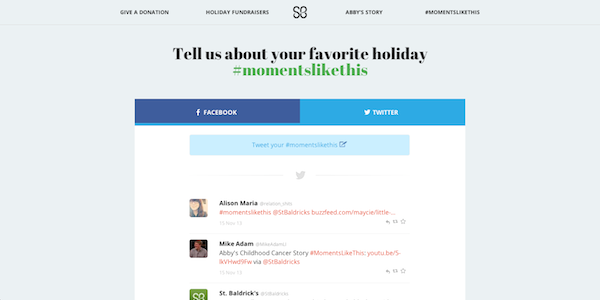 St. Baldrick’s isn’t afraid to make the ask for donations on social media, but that’s not all it posts. The organization provides what it calls “cookie content,” which is feel-good, sweet content that engages its audience. In between these posts is when St. Baldrick’s sprinkles in donation asks. Since the organization tracks each social media post, it can also see its most engaged followers on social media. Stamer mentioned that her team takes note of the most engaged supporters and will reach out to them directly to tell them about a new campaign or story and ask them to share it with their networks before it launches. This allows her team to secure an audience even before it launches a new campaign. If these individuals have large networks themselves, they’ll guarantee a big reach for the new campaign. St. Baldrick’s tracks every single post it puts on Facebook and Twitter by tracking the link it puts in the post. 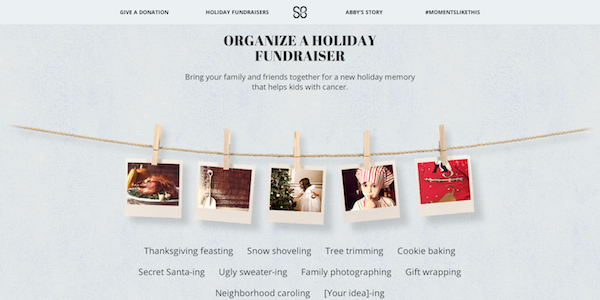 This allows the group to see which types of posts drive donations, registrations, newsletter subscriptions, etc. Additionally, it allows the marketing team to perfect its posting strategy and understand what content is and isn’t effective. Further, the organization does a great job with a consistent, multi-channel marketing strategy — both online and offline. It makes sure its messaging, branding, visuals, and media are aligned on all channels, including email, direct mail, social media, and webpages. 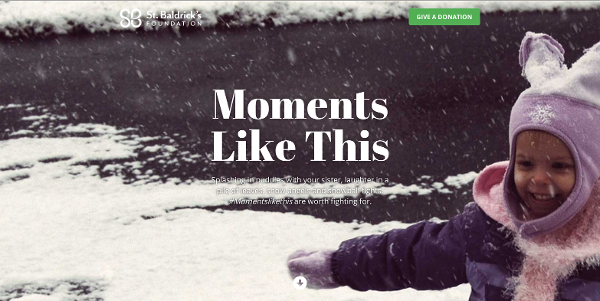 For its end-of-year campaign, called Moments Like This, the organization has a particular page it drives traffic to that tells the St. Baldrick’s story very clearly, offers ideas for fundraising events, shows the social stream for its campaign hashtag #MomentsLikeThis, and, of course, includes a donation ask. For instance, you should respond to tweets and retweets to say thank you. If you have Twitter handle information for your major donors or most engaged supporters, reach out to them individually and say thank you for their support this year. The more communication and love you show your supporters, the better. 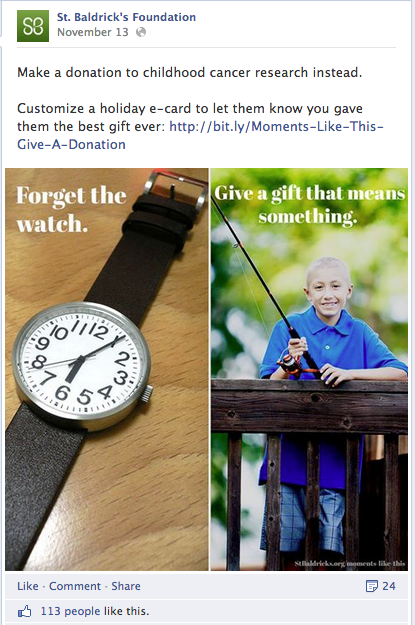 How is your organization using social media to engage your supporters, particularly for your end-of-year campaign?